The upcoming survival horror game Alien: Isolation was featured today at EGX Rezzed in a special panel with The Creative Assembly, where it received an official release date. 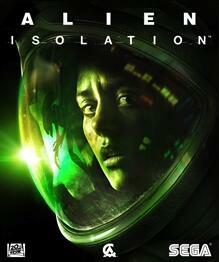 Alien: Isolation will come out on October 7, 2014 for the PS4, Xbox One, PC, PS3, and Xbox 360. The Creative Assembly also discussed how Isolation will draw on the aesthetics of the original Alien film, from the “lo-fi sci-fi” technology to the architecture. An incredible amount of research and work went into giving the game an authentic Alien appearance. The Alien will have non-scripted behavior, which will adapt to the environment and the player’s actions. Players will have to react to its behavior, as well, to know if they’ve been noticed. Since the Alien can go anywhere in its search for the player, there are numerous routes throughout each area so players can hide and/or escape. Check out the Twitch archives to see the full panel. This is looking like a great survival horror game, and we can’t wait to see how scary it will be. Let us know what you think, and if you were lucky enough to attend EGX, share your impressions of Alien: Isolation!